What is in Lucky Charms marshmallows? Shouldn’t marshmallows be puffy and fluffy? There’s just something about a sweet, colorful, crunchy cereal that makes almost anyone feel just like a kid again — especially when that cereal contains little bits of pure sugar in the form of marshmallows. But when it comes to cereals like Lucky Charms, it’s also pretty clear that those mini marshmallows look, feel and taste a bit different than the fluffy kind that go perfectly with hot chocolate. So are cereal marshmallows actually marshmallows? Here's what the pros say. Though Lucky Charms' exact process is proprietary, the cereal marshmallows are made with ingredients that include sugar, modified cornstarch, corn syrup, dextrose, gelatin and calcium carbonate, according to the product's packaging. 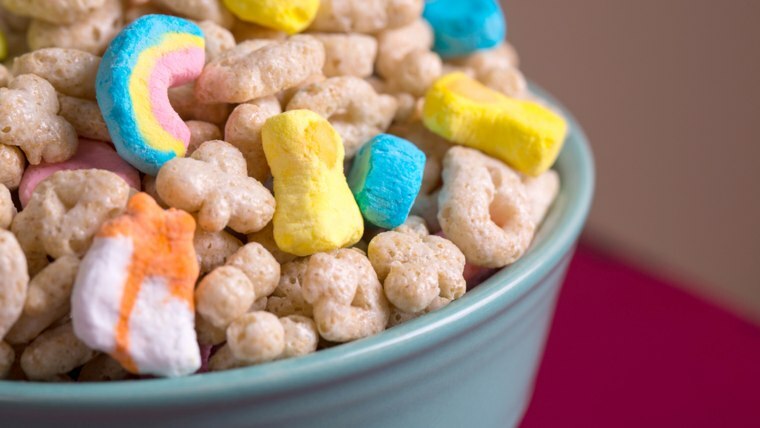 "In general, once the marshmallows are made, the proper colors are added and the magical shapes of hearts, stars, horseshoes, clovers, blue moons, rainbows, red balloons and unicorns are formed," Mike Siemienas, a General Mills spokesman, told TODAY Food over email. Kraft's Jet-Puffed marshmallows — the fluffier kind that come in those big bags — contain corn syrup, sugar, dextrose, modified cornstarch, water, gelatin, tetrasodium pyrophosphate (whipping aid) and additional natural and artificial flavorings. The biggest difference between the two? Lucky Charms' lack of water and a whipping aid. "[A] marshmallow is considered a candy. Sugar, water, corn syrup, gelatin and, well, air," Alison Mahoney, aka the Singing Baker, told TODAY. She explained that when you usually make marshmallows, you cook the sugar to a very high heat and then whip it with gelatin until the mixture comes together. Cereal marshmallows lack the whipping aid that keeps puffy marshmallows puffy. And while Mahoney said thatshe definitely considers the Lucky Charms marshmallows to be true marshmallows, they likely have a higher ratio of cornstarch, which makes them more shelf stable, less fluffy and more compact so they can hold their shape. Of course, if you really love marshmallow that are super soft, you can always make them at home. "I love marshmallows," Leen Kim, the executive chef at the Omni Homestead Resort in Hot Springs, Virginia, told TODAY. 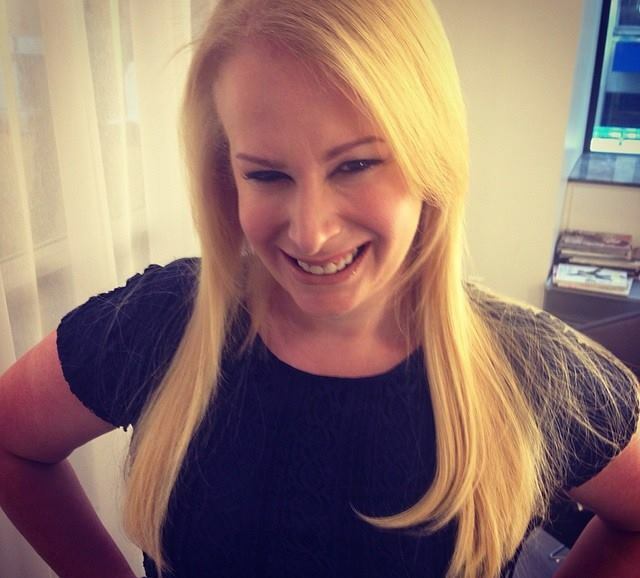 "They make me feel like a kid and always bring back some of my favorite childhood memories. A marshmallow is like a sweet, gooey, fluffy cloud and homemade marshmallows are simply heavenly." Kim uses a meringue base with whipped egg whites and sugar to make her restaurant's signature marshmallows. "The texture and consistency of a homemade marshmallow can really elevate the complexity of a dessert," she continued. To Kim, however, the marshmallows in cereal aren't really in the same realm as the gooey, soft type. "In my opinion, marshmallows in cereals are more like candy simply because they are dehydrated." But when we break it down, all marshmallows (homemade or not) are kind of candy anyway, right? So whether you like 'em hard or squishy, marshmallows' essential ingredients are basically the same. It all comes down to how they're processed — and who is judging the sweet treat.